This entry was posted in Drug Addiction, Opiate Addiction, Prescription Drugs, Treatment Programs and tagged addiction, Dr. Vivek Murthy, substance abuse, Surgeon General, treatment on December 8, 2016 by dradmins. Dr. Murthy pointed out that the number of US deaths from drug overdoses reached 47,055 in 2014, which was a record number according to statistics provided by the Centers for Disease Control and Prevention. This figure represented a 6.5 percent increase over previous years. The government has requested additional funds to address the serious issue of drug addiction. President Barack Obama has made a request for additional funding of US$ 1.1 billion to help combat the problem. 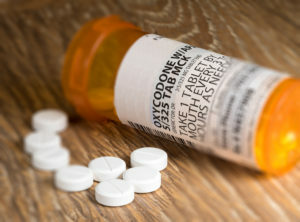 Opioid painkiller abuse is of particular concern, with drugs such as fentanyl, oxycodone, hydrocodone and morphine being at the forefront of the public’s attention. In 2015, the number of people who have reported either using illegal drugs or misusing prescription drugs has hit 27 million. Close to one-quarter of all adolescents and adults (66 million people) have reported engaging in an episode of binge drinking during the past month. 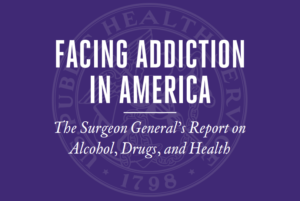 Dr. Murthy’s report calls for a holistic approach to taking on the issue of addiction. It should involve a number of entities and organizations, from policy makers and regulators to communities, schools and families. One of Dr. Murthy’s goals is to increase access to existing treatment programs and to expand the number of programs available. His report also discussed the importance of early intervention in schools to teach children about the dangers of alcohol use. Dr. Murthy pointed out that if a young person has their first drink before they turn 15, they are four times more likely to develop an alcohol problem than if they postponed their first drink to after age 21. Dr. Murthy’s model for his approach is the 1964 Surgeon General’s report on tobacco. At that time, approximately 42 percent of the US population smoked, but few people recognized the dangers of tobacco products. Through the work of the campaign, the public was made aware of the health consequences of smoking, and the current smoking rate is below 17 percent. This entry was posted in Opiate Addiction, Prescription Drugs, Treatment Programs and tagged drug treatment, Michigan, opiate addiction, painkillers, prescription drugs, treatment programs on October 26, 2016 by dradmins. Michigan, like other states, has been hit hard by America’s drug epidemic. A team from the University of Michigan (U-M) is taking action against a key factor in the problem: opioids being prescribed to patients both before and after surgery. The Department of Health and Human Services will be providing a grant of $1.4 million in funding per year over each of the next five years ($7 million total funding), which will be matched by U-M. The team will be launching an initiative that will help doctors and hospitals across Michigan address surgical patients’ pain without putting them at high risk for becoming new chronic opioid users, misusers or addicts. The program, called the Michigan Opioid Engagement Network (Michigan OPEN), has set as its goal to reduce the number of opioids being prescribed to Michigan surgery patients by 50 percent. It also wants to lower the number of patients still using opioids several months after surgery by the same rate. Based in the U-M Medical School and Institute for Healthcare Policy and Innovation, Michigan-OPEN will work with existing networks of hospitals, doctors and nurses across the state. The team will be working with 12 of these networks to understand and use best practices for managing pain for their patients, which includes using opioid pain medications wisely. According to U-M researchers, approximately 10 percent of patients who weren’t taking opioid medications before they undergo surgery become dependent on them after the procedure. 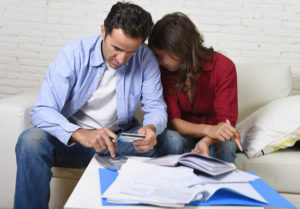 This dependency can open the door to misuse and addiction to prescription and illegal drugs. Opioid abuse in Michigan is already a widespread issue that costs the state nearly $2 billion each year. Mortality rates are increasing faster than in other states. Michigan-OPEN will move quickly to distribute evidence-based information and advice to health care teams and treatment programs statewide. Special attention will be paid to patients currently on Medicaid insurance. Patients in this category make up 12 percent of those having surgery, but account for close to one-third of those who develop a post-surgical opioid dependence. Michigan-OPEN will also work with patients who are already taking opioids prior to surgery. A U-M study has found that care for these patients costs nine percent more than for patients who did not use opioids before their procedure. It also resulted in more complications and readmissions than for patients of similar age, health and insurance status. Michigan-OPEN teams will work with patients and their healthcare team to create strategies they can use to reduce the number and level of opioids being prescribed and dependence on these types of drugs. One strategy that can be implemented is for surgeons to discuss pain management expectations and concerns with the patient before surgery. The Centers for Disease Control and Prevention (CDC) recently announced that drug overdose deaths hit an all-time high, led by a flood of opiate use. Overall, opiods were responsible for about 60% of the 47,000 overdose fatalities in America in 2014. Deaths from heroin specifically jumped over 25%, topping more than 10,000 lives lost. We believe that those numbers are poised to continue rising despite current efforts to curb overdoses. It is no secret that many people wind up using heroin after they have developed a dependency on prescription opiates. These painkillers were themselves responsible for more than 5,000 fatalities. Despite roughly half the number of associated deaths, there are more than three times the number of people with substance use disorders involving painkillers compared to the number of heroin users. 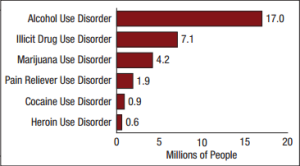 According to the latest results of the National Survey on Drug Use and Health (NSDUH), the Substance Abuse and Mental Health Services Administration (SAMHSA) reports that there were about 600,000 people with heroin use disorders in 2014 and 1.9 million people with pain reliever use disorders. Since having abused prescription painkillers is the strongest single factor contributing to heroin use, there is a very real threat that the number of heroin-related overdose deaths could surge past 20,000 annually if not remedied. “The increasing number of deaths from opioid overdose is alarming. The opioid epidemic is devastating American families and communities. To curb these trends and save lives, we must help prevent addiction and provide support and treatment to those who suffer from opioid use disorders. 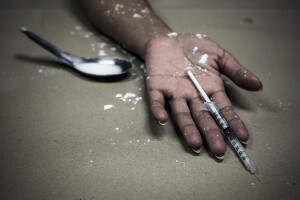 This report also shows how important it is that law enforcement intensify efforts to reduce the availability of heroin, illegal fentanyl, and other illegal opioids, CDC Director Tom Frieden stated in a release announcing the recent findings. There is no one single way to treat opiate addiction. 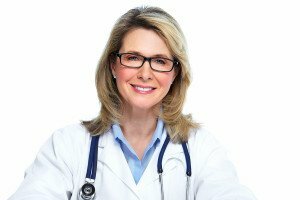 There are many valuable therapeutic procedures that can help the process and a wide variety of rehabilitation programs available. If you know someone in need of help for an addiction to heroin, painkillers or any other drug, contact us today for help locating a facility. With so much attention placed on the heroin and other opioid-related deaths in the United States in recent years, many people have forgotten how many lives have been lost to accidental overdose on methadone. In fact, the Federal government just announced additional funding for opioid-replacement therapy to treat heroin addiction using methadone or buprenorphine. As a grim reminder, news outlets have just been covering the accidental overdose death of Victoria Siegel caused by methadone. She was the daughter of billionaire property mogul David Siegel. Other notable overdose deaths involving methadone included Daniel Smith, who was the son of the late Anna Nicole Smith, and Alexander Jentzsch, son of missing church of Scientology president Heber Jentzsch. 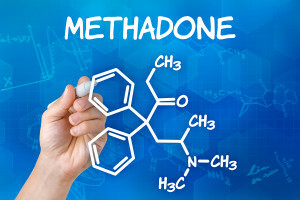 According to the Centers for Disease Control and Prevention (CDC), methadone is responsible for a much larger percentage of opioid-related deaths when compared to the number of users. In fact, methadone was involved in 31% of opioid pain reliever deaths in the 13 states. It accounted for 40% of single-drug opioid pain reliever deaths. The overdose death rate for methadone was significantly greater than that for other drugs in the same category. 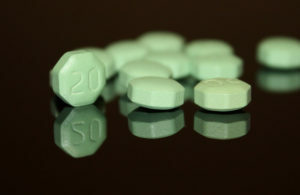 While methadone appears to be deadlier in combination with other drugs, the statistics above demonstrate that it is among the most dangerous prescription narcotics on the market as well. 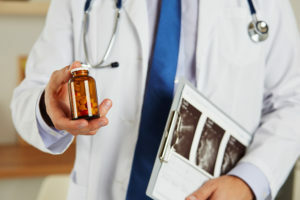 Today methadone is not just used to treat opioid addiction, but also as a pain reliever for serious, chronic symptoms without producing the same high as other opiates. The half-life of methadone is between 10 and 40 hours, so daily doses compound and create a dangerous toxicity level where organs begin to shut down. 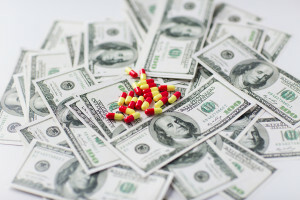 So, while it is encouraging to see that there is more funding being allocated to treat opiate addiction, many believe the money would be better spent elsewhere than funding methadone treatments. At the very least physicians, treatment clinics and patients should be more aware of the risks involved in using the drug. If you have someone battling an opioid addiction and would like to find some successful treatment center options, contact us today.